Tracy Burns has been hooking rugs for 14 years and teaching classes in her home for 12 years. 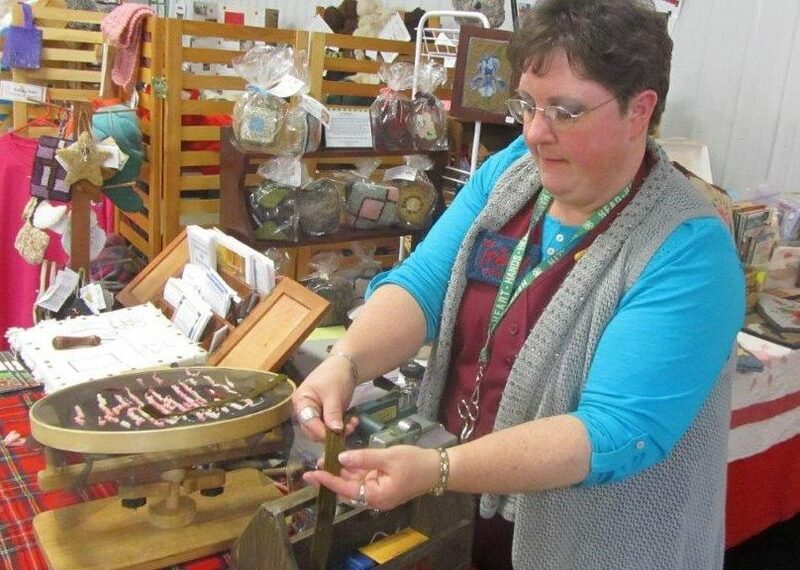 She enjoys giving rug hooking demonstrations and presentations for groups and museums. She has given presentations in 20 towns in 15 counties in Indiana. Tracy also enter rugs in the Fayette and Wayne County Fairs as well as the Indiana State Fair, where she has won many ribbons. Tracy continues to take advanced rug hooking classes to develop and enhance her skills, so she can help share the different possibilities of this fiber art. She and her family live in the rural area of Fayette/Wayne Counties.